Rhode Island residents are the most dissatisfied with their road conditions, compared to all other states. Earlier this month, Governor Raimondo signed a bill to have tolls specifically for large trucks in order to combat the wear and tear these trucks cause on the roads. According to 24/7 Wall St.com, some Rhode Island residents were happy with this decision and feel like it was a move in the right direction while others think it isn’t the right thing to do. In the past, Rhode Island has depended on a gas tax, similar to other states, for infrastructure repairs, but the funds aren’t enough to handle this large of an endeavor. Rhode Island has consistently ranked as having the least satisfied residents with road conditions according to Gallup’s 2015 50-state poll. The poll found that the states that spent the most per capita on roads had an average satisfaction of 67%, which is significantly greater than that of Rhode Island. According to the Gallup poll, only 33% of Rhode Island’s residents were satisfied with the state’s roads. Governor Raimondo’s plan to fix Rhode Island’s roads was the truck toll, but residents are skeptical that the money will actually be used for residential roads. Thirty-five other states also have toll roads, and these roads generate over $14 billion in revenue for infrastructure repair as well as funding for other projects. 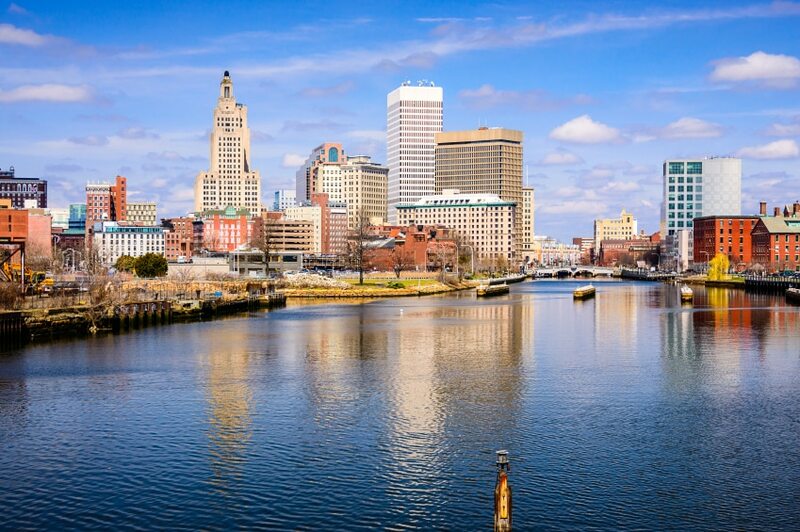 Recently, Raimondo proposed RhodeWorks, a long-term budget amendment to increase spending on roads, bridges, and mass transit projects by $1.1 billion over the next 9 years. This plan is estimated to fix more than 150 bridges that are structurally deficient, repair another 500 bridges to prevent them from becoming structurally deficient, and create 12,000 jobs. The plan is also estimated to save $1 billion by not waiting and letting the road and bridge conditions become worse. According to Rhode Island’s Department of Transportation, the RhodeWorks plan has specific legislation in it to prevent cars and small trucks from paying road user fees to fund the projects.